If you cannot hear us – please don’t call us. Wait until propagation and conditions favor your QTH for one or more of the 11 Bands and 3 Modes. Eventually you WILL have a clear path to Denmark. Be patient. Unless you hear otherwise from the Operator, we will ALWAYS be operating in SPLIT MODE throughout the DXpedition and in FT8 Dxpedition Mode as Fox ! During SSB pileups, please announce your full call clearly — ONCE — using common phonetics. We’re not impressed by those who add to the QRM by constantly calling out of turn. Be patient. 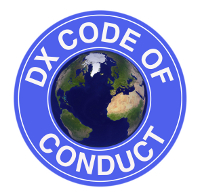 If we ask for „DX“ only or „QRP only“ or any other specific request, please QRX. Be patient. Resist those „insurance“ QSOs. We want to maximize unique QSOs, not Dupes.